As most of you know, I take bus pictures in addition to trucks. Long story, short, my family and I were travelling back home when a pretty bad ice storm hit and were forced to stay in a hotel in Lubbock. 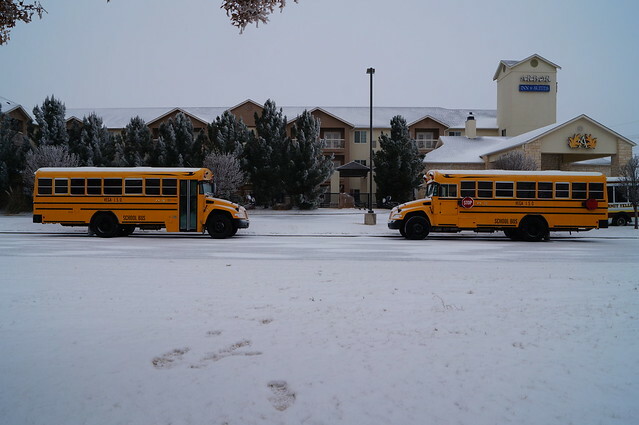 I woke up to next morning to a perfectly posed picture of two buses from Vega ISD out in front of our hotel.